Kari McWest and co-workers recently published an article on the scorpion fauna of the Central and Southern High Plains and associated breaks and canyonlands of northwestern Texas. The six species in the region are described and new records information about habitats are presented. The articles has an identification key for the species in the region. 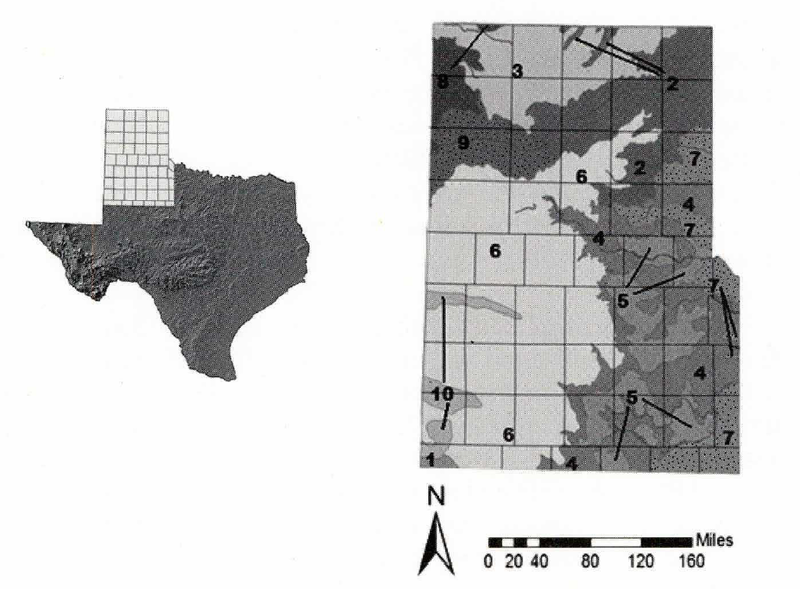 The scorpion fauna of the Central and Southern High Plains and associated breaks and canyonlands of northwestern Texas includes six species: Centruroides vittatus (Say, 1821), Chihuahuanus coahuilae (Williams, 1968), Ch. russelli (Williams, 1971), Maaykuyak waueri (Gertsch & Soleglad, 1972), Paruroctonus pecos Sissom & Francke, 1981, and Paruroctonus utahensis (Williams, 1968), Paruroctonus pecos Sissom & Francke, 1981 is recorded in northwestern Texas for the first time. Numerous new records and a key for identification are provided for all six nominal species recorded within the study area. Ecological and natural history notes are also presented, and species records are projected with GIS mapping. McWest KJ, Valois ZJ, Sissom WD. Scorpions (Arachnida) of the high plains and adjacent canyonlands of Northwestern Texas. Texas Journal of Science. 2017;67(1):3-38. Thanks to Kari for sending me their article!